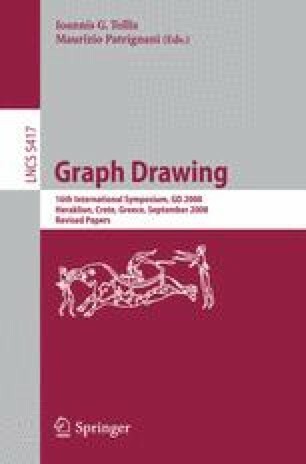 We introduce a new force-directed model for computing graph layout. The model bridges the two more popular force directed approaches – the stress and the electrical-spring models – through the binary stress cost function, which is a carefully defined energy function with low descriptive complexity allowing fast computation via a Barnes-Hut scheme. This allows us to overcome optimization pitfalls from which previous methods suffer. In addition, the binary stress model often offers a unique viewpoint to the graph, which can occasionally add useful insight to its topology. The model uniformly spreads the nodes within a circle. This helps in achieving an efficient utilization of the drawing area. Moreover, the ability to uniformly spread nodes regardless of topology, becomes particularly helpful for graphs with low connectivity, or even with multiple connected components, where there is not enough structure for defining a readable layout.